A puzzlebox filled with five different puzzles of each a 1000 pieces. This theme of this box is Classic. 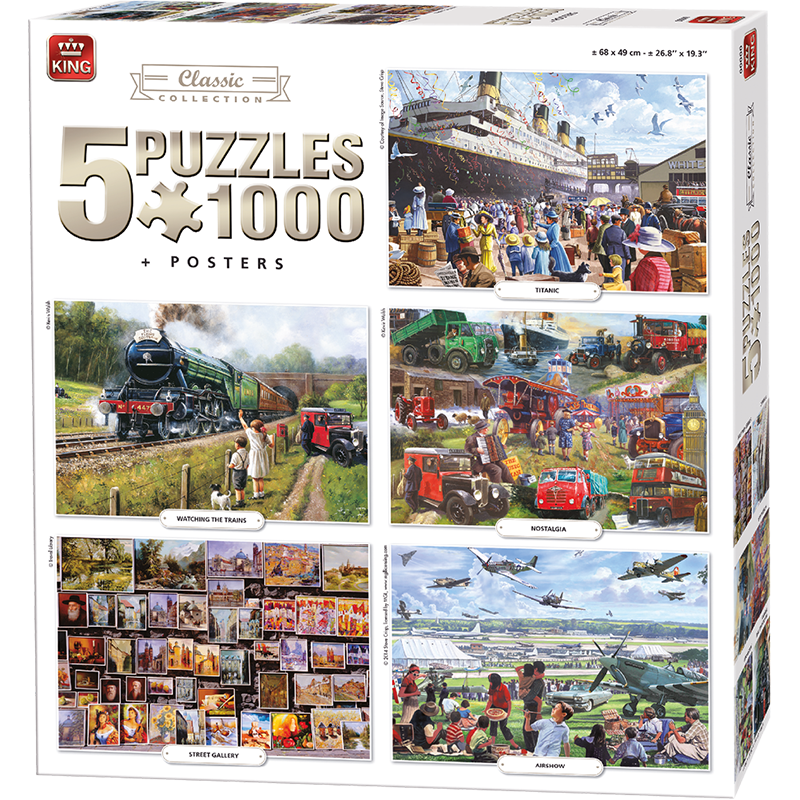 Each of the puzzle has classic images like boats, trains, planes and paintings. Of each puzzle you will find a poster in the box to help make the puzzle.